Hey everyone! Hope you are all well. Only seems like two minutes ago when I last wrote a guest post for Becca, and here I am again! I have a really simple mani to show you guys and it’s bit of an old one due to my nail shape. For the base I used 2 coats of The Pink One by Pretty Serious. 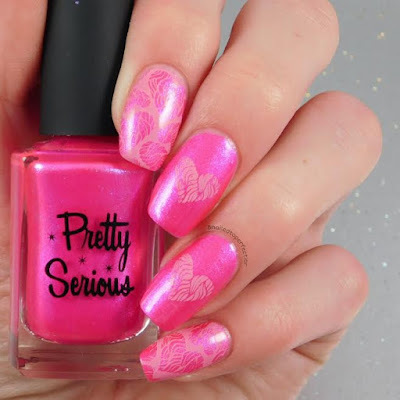 This pink is just the bomb! 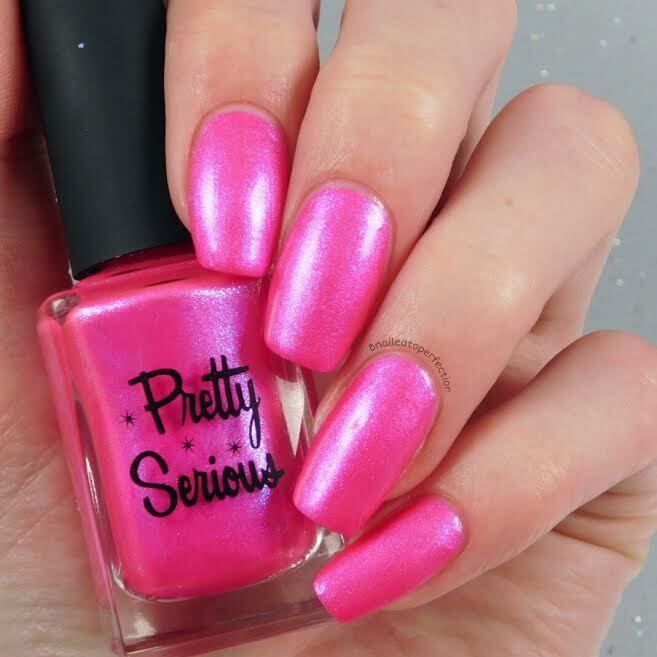 It’s a gorgeous hot pink with a stunning blue flash. You can see the blue flash more here. 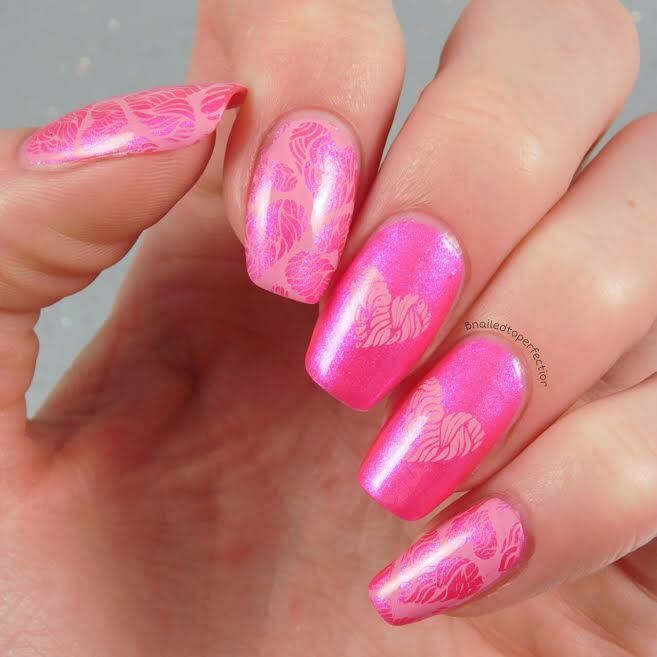 For the stamping I went quite subtle with Drunk Pink Tank from Hit The Bottle. The images are from Uber Chic plate 6-03. I love the mixture from Uber Chic plates where they have a smaller image to compliment the larger full size ones. As always I topped with my favorite top coat, HK Girl from Glisten and Glow. I hope you all liked my guest post today. Becca, I hope you are having a fabulous holiday!